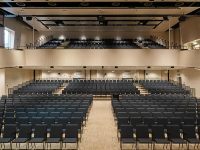 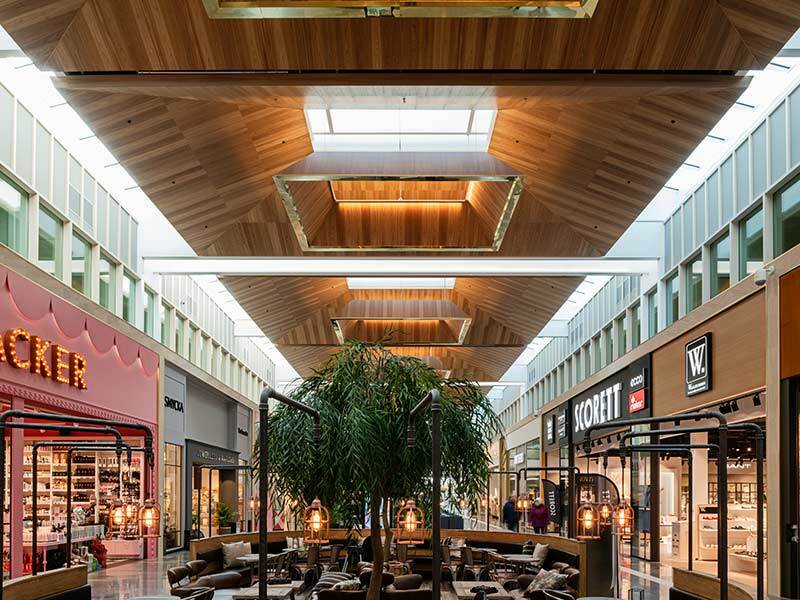 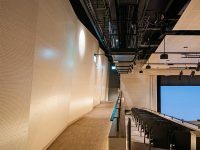 With the goal of achieving “the acoustics of the small room in the large-scale architecture”, Johan de Sousa Mestre, acoustician at ÅF, together with the architects at Tengbom, have designed the new congress hall in Borås. 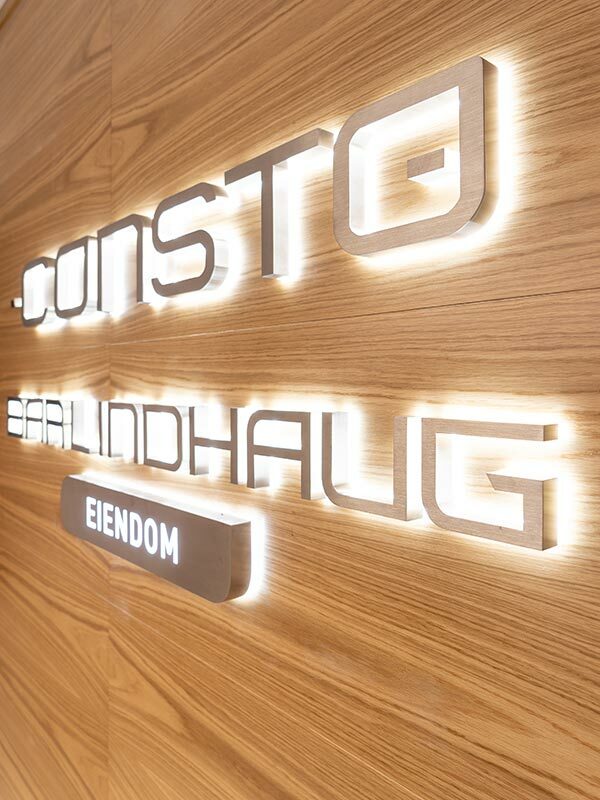 Six years of planning and designing has been realized with the opening of Borås Congress. 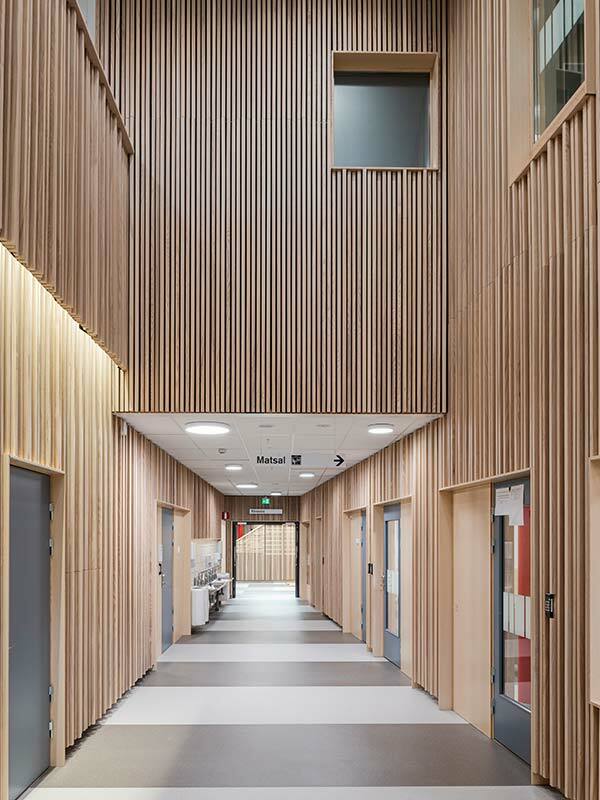 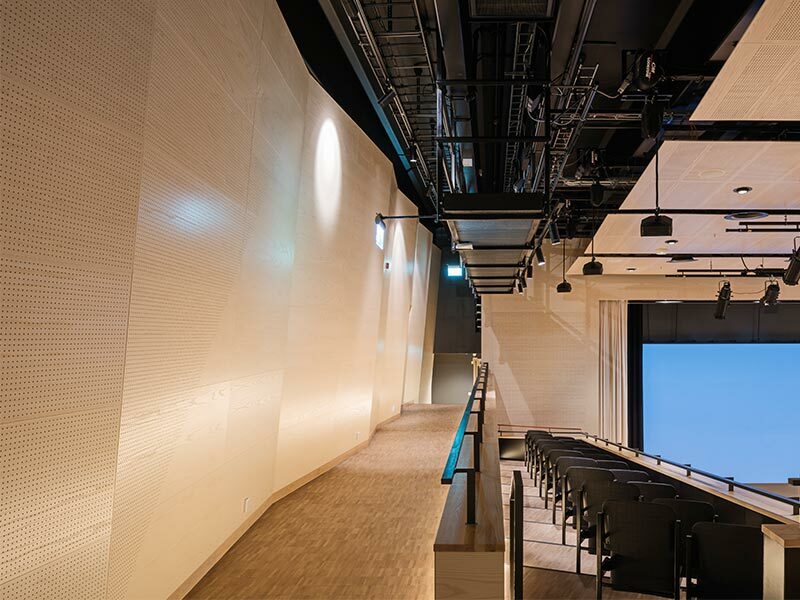 The acoustic design consists of perforated and plain wood panels installed on the walls and in the ceiling. 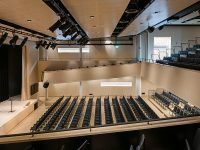 Angled wood panels are used to direct the sound around the congress hall with 1000 seats. 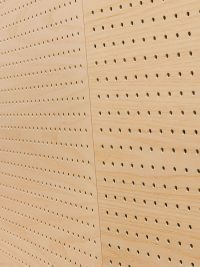 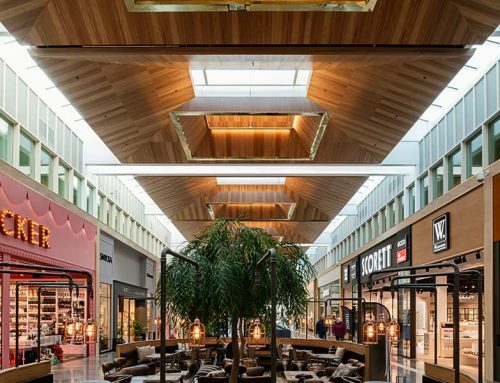 The 1 575 000 perforation holes not just only create the acoustics of the small room with their absorption, they also create a stunning visual effect on the wood panels. 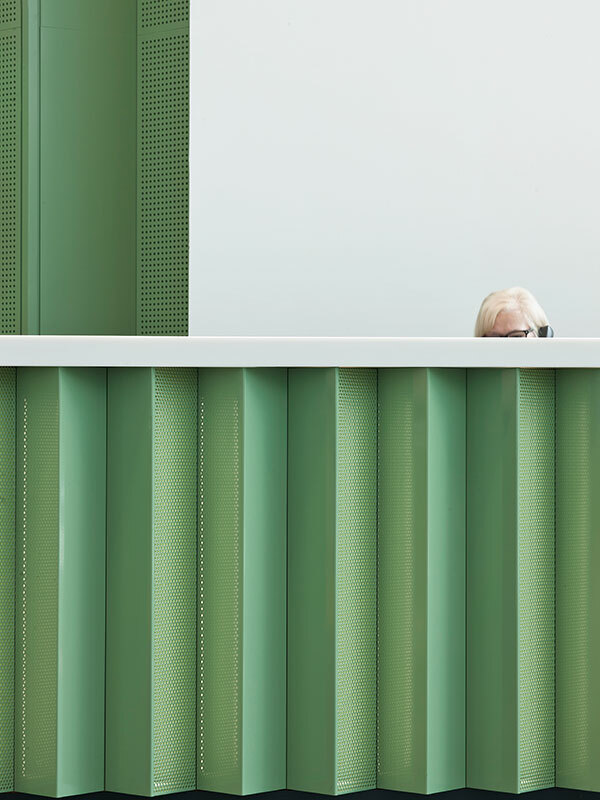 The perforated acoustic panels at Borås Congress hall have a unique design. 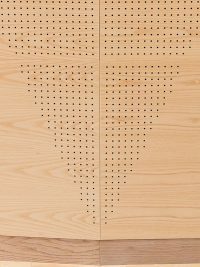 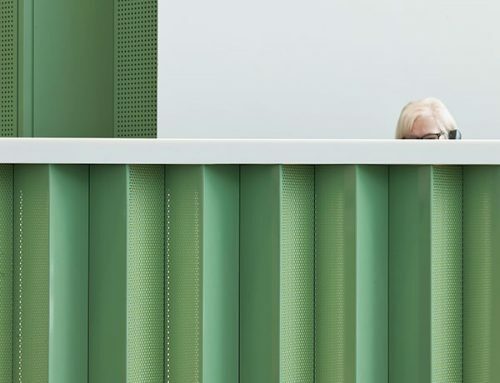 The acoustic panels have been perforated in a diagonal pattern which divides the perforated part with the plain part of the panel. 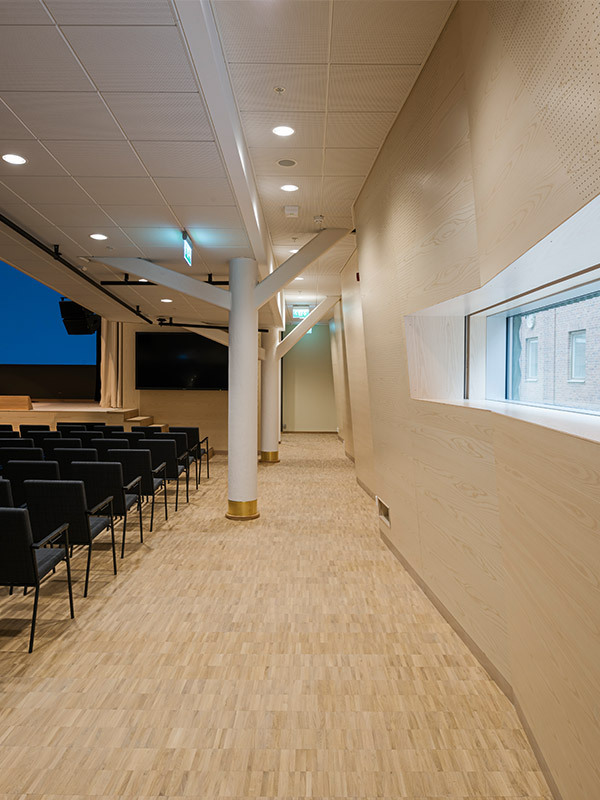 The diagonal pattern was Johan’s idea, and gives the sound elegance and spaciousness. 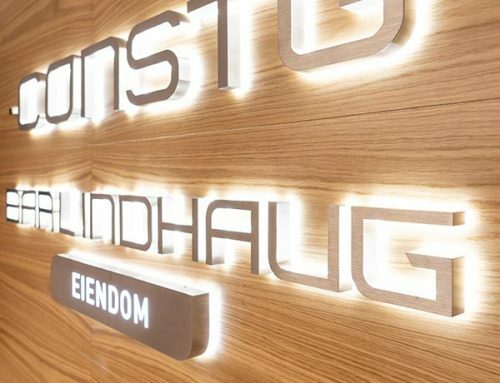 Listen in headphones to Johan’s inauguration speech below. 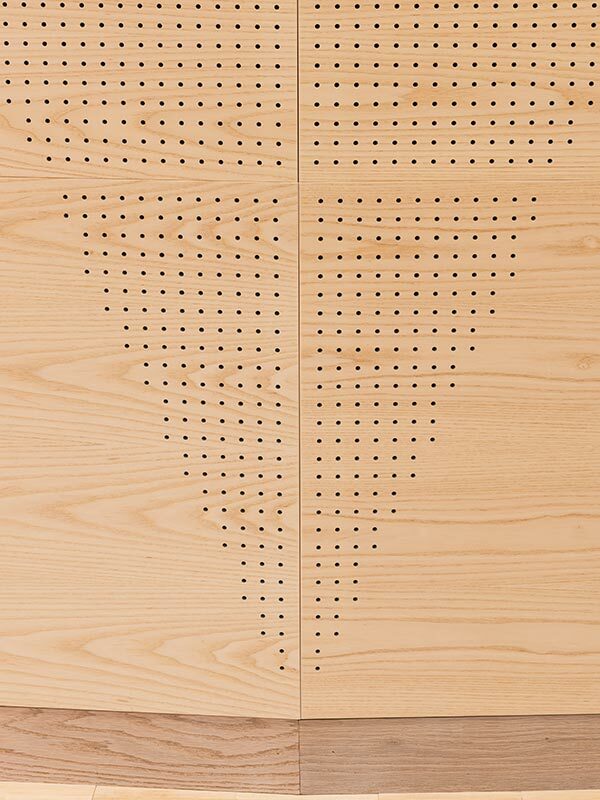 It´s in Swedish, but you can still here the magnificent sound. 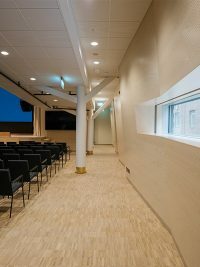 All wooden panels are in white pigmented ash veneer. 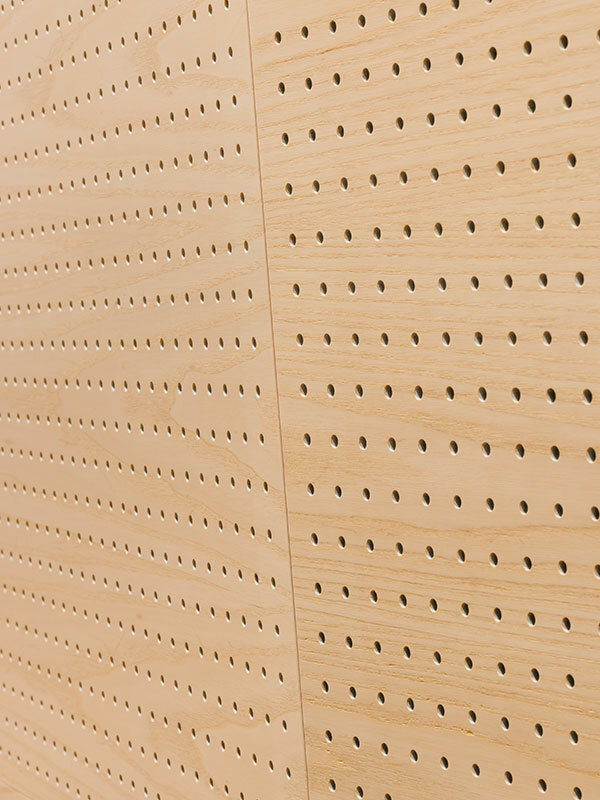 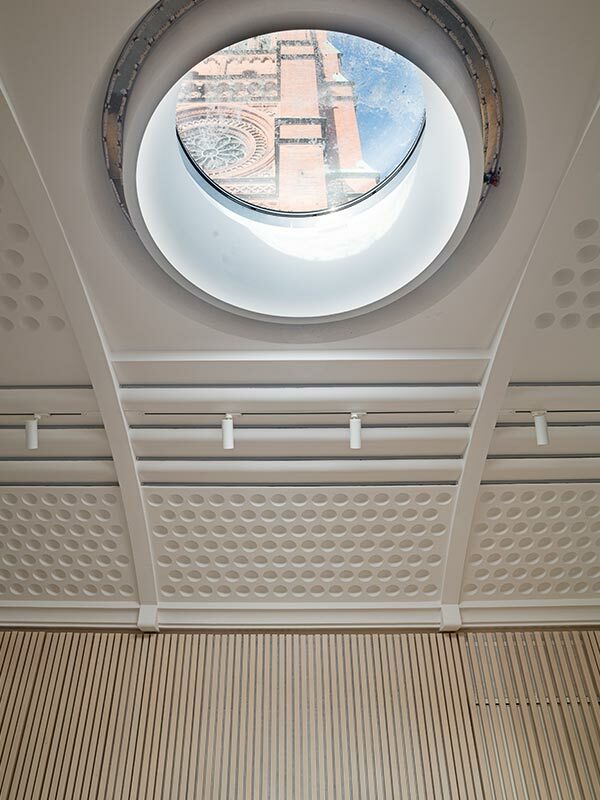 Our PH5 perforation has been used at the walls and in the ceiling the acoustic panels are using PH8 perforation. 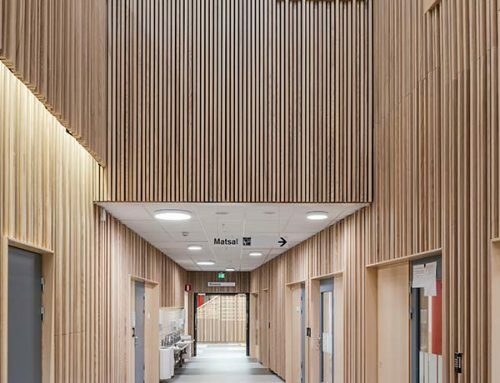 The old community house in Borås was built 1940, designed by the architect Gunnar Jonsson. 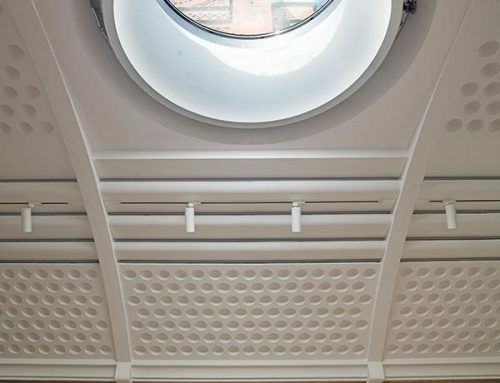 During the years the building has gone through several reconstructions and extensions leaving it in a doubtful condition. 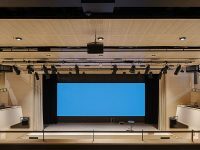 Tengbom got the mission to take a holistic approach which have result in a total restoration and a brand-new Congress hall. 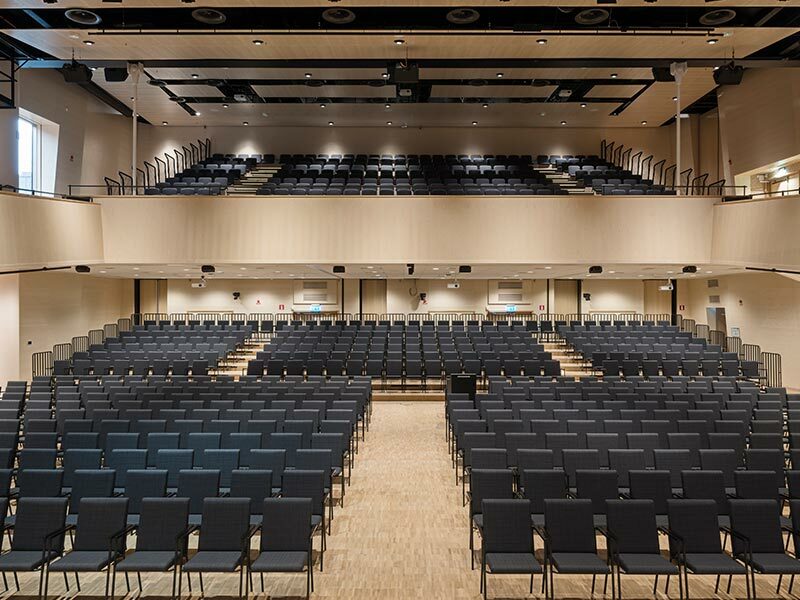 Borås Congress was inaugurated November 20-21.